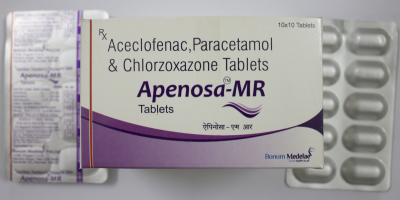 APENOSA-DSP Tablets which contain the combination of Serratiopeptidase Diclofenac Potassium & Paracetamol ingredients. 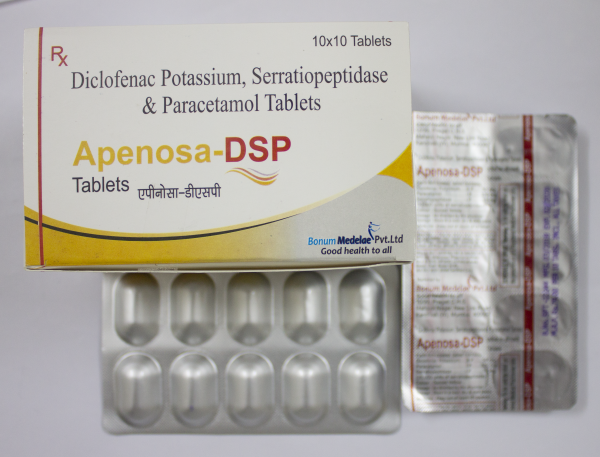 Seratic-DP tablets work as an anti-inflammatory medication and helps to cure mild to moderate pain and inflammation. 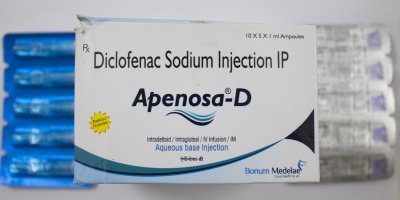 In this combination of medications, Diclofenac Potassium is a nonsteroidal anti-inflammatory, analgesic, and antipyretic agent (also referred as NSAIDs) which works against trivial to moderate painful conditions & helps in getting relief from severe pain & inflammation. 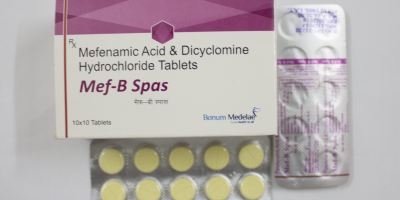 It is also beneficial medication to treat joint stiffness caused due to arthritis. 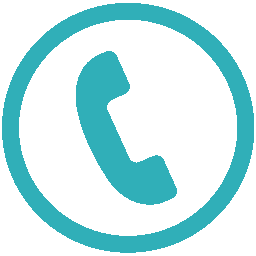 Serratiopeptidase ingredient has powerful anti-inflammatory properties to treat post-traumatic inflammation, bronchitis (Inflammation of the lining of bronchial tubes) and fibrocystic breast disease. 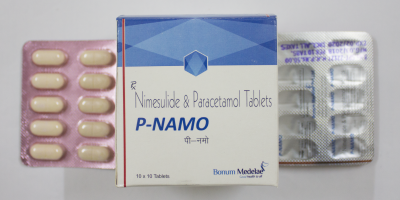 It mainly helps in dissolving blood clots, cysts, and arterial plaques.